From left to right: Simply Sweet Ceramics, Queens Knits, and Single Girl Cookies. This weekend, December 1 and 2, The Brass Owl will be hosting three pop-up shops for all your holiday needs. 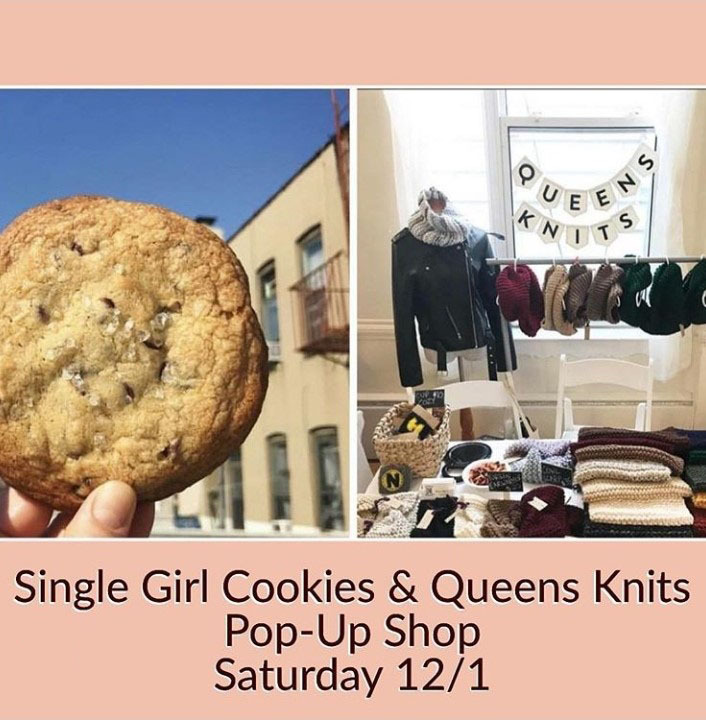 Saturday, December 1, will be a double feature of Single Girl Cookies and Queens Knits, and Sunday will feature Simply Sweet Ceramics. This is just one of the pop-up shops happening in the neighborhood this weekend, too. All are Astoria-based and female-operated companies, so come show your love! Up first is the double header. Single Girl Cookies will be offering delicious cookies made with their secret recipes, and while they make great gifts, they’re also perfect for fortifying yourself for more holiday shopping. You’ll also be able to check out scarves, hats, drink cozies, ornaments, and more by Queens Knits. Choose from classic and timeless pieces, or pieces with a little more attitude and Astoria-themed flair. In addition, there will be mimosas available! 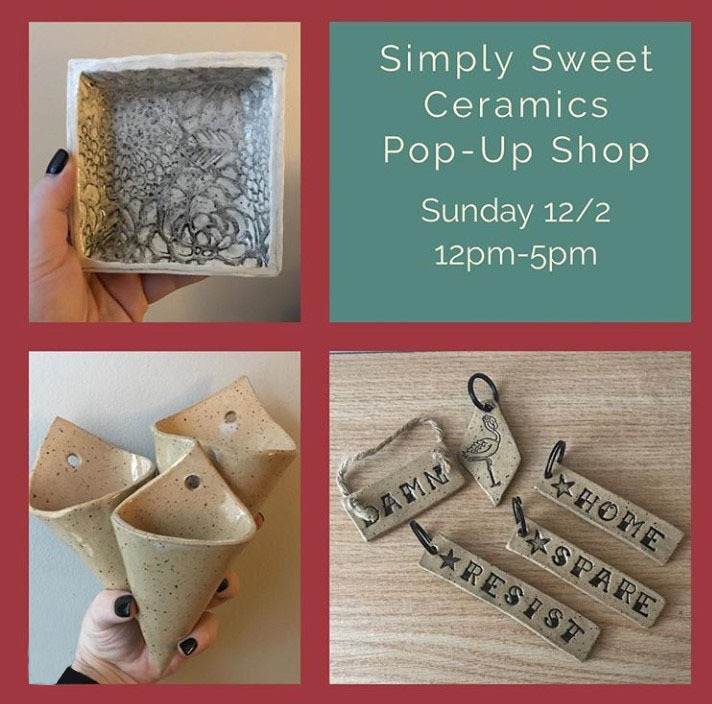 Day 2 of the pop-up shops will feature the handmade ceramics of Simply Sweet Ceramics. Choose from mugs, plates, ring dishes, vases, jewelry boxes, decor items and more. They make perfect gifts as well as perfect additions to your own home. Plus, December 2 is the first night of Hanukkah, so consider this if you really need to do some last-minute shopping. Find Single Girl Cookies on Facebook and Instagram. Find Queens Knits on Instagram and Etsy. Find Simply Sweet Ceramics on Instagram and Etsy.